MARJAH, Afghanistan (AP) — Nearly three years after U.S.-led forces launched the biggest operation of the war to clear insurgents, foster economic growth and set a model for the rest of Afghanistan, angry residents of Helmand province say they are too afraid to go out after dark because of marauding bands of thieves. And during the day, they say corrupt police and government officials bully them into paying bribes. After 11 years of war, many here long for a return of the Taliban. They say that under the Taliban, who routinely punished thieves by cutting off a hand, they were at least safe from crime and corruption. "If you had a box of cash on your head, you could go to the farthest part of Marjah and no one would take it from you, even at night," said Maulvi Daoud, who runs a cubbyhole sized-shop in the town of Marjah. "Today you bring your motorcycle in front of your shop and it will be gone. Now the situation is that you go on the road and they are standing in police and army uniform with weapons and they can take your money." It was in the town of Marjah in early 2010 that some 15,000 NATO and Afghan forces waged the war's biggest battle. They not only fought the Taliban with weapons, they promised to bring good governance to Marjah and the rest of the southern province of Helmand — and demonstrate to the residents the advantages of shunning the militants. But it appears the flaw in the plan was with the quality of Afghans chosen by President Hamid Karzai to govern and police the area after most of the fighting ended. And that adds to growing doubts about the entire country's future after foreign troops withdraw by the end of 2014. Despite military claims of gains across the province and an overall drop in violence, Marjah residents told The Associated Press that NATO's counterinsurgency experiment has failed. A bleak picture also emerges from anecdotal evidence collected from dozens of interviews with residents elsewhere in the province, some from the most violent districts. Many claim the U.S.-funded local police, a type of locally sanctioned militia, routinely demand bribes and threaten to accuse those who do not comply of being members of the Taliban. Good governance never came to Marjah, they say. In villages of sun-baked mud homes, at crowded bus stops and in local tea houses where residents sit cross-legged on plastic-covered tables drinking tea and eating off communal plates, people scoffed at claims of security and development. They heaped criticism on the Afghan government and officials, accusing them of stealing billions of dollars in aid money meant for the people and on an international community that they said ignored their needs and pandered to a corrupt administration. Daoud, the Marjah shop owner, said there was more security under the country's Taliban regime that was ousted by the U.S.-led invasion in late 2001. "They were never cruel to us and the one difference was security. It was better during the Taliban," he said. His partner in the rickety shop along Marjah's chaotic one-street bazaar, Mohammed Haider, said poppy farmers who planted substitute crops such as cotton are losing money because they cannot sell their harvests. He predicted poppy production would double when foreign soldiers leave in 2014. At a bus stop in Helmand's provincial capital of Lashkar Gah, residents scrambled for dilapidated old buses and cars to go to parts of Helmand. Hamidullah, who like many Afghans uses only one name, was waiting for a bus to Sangin district — the scene of some of the most violent fighting between the Taliban and British and U.S. forces. "All these foreign soldiers are here and it is totally insecure everywhere in Helmand," Hamidullah said. "For the time that they are in Afghanistan we will always have war." Several of the men scrambling on top the packed buses and jamming themselves into the back of cars seemed to growl at the presence of foreigners in their midst. A single question: "What is the situation like in Helmand today?" brought a cacophony of answers. Many of the voices sounded angry, some sounded weary and a few angry-looking men walked away. "We are completely destroyed today," said Hamidullah. "The situation is getting worse and worse," shouted a voice in the crowd. Another yelled: "There is no security because of the foreigners." And from a deeply wrinkled elderly man whose voice seemed both angry and sad: "If the foreigners are out of Afghanistan, all the problems will be solved. Are our lives any better?" 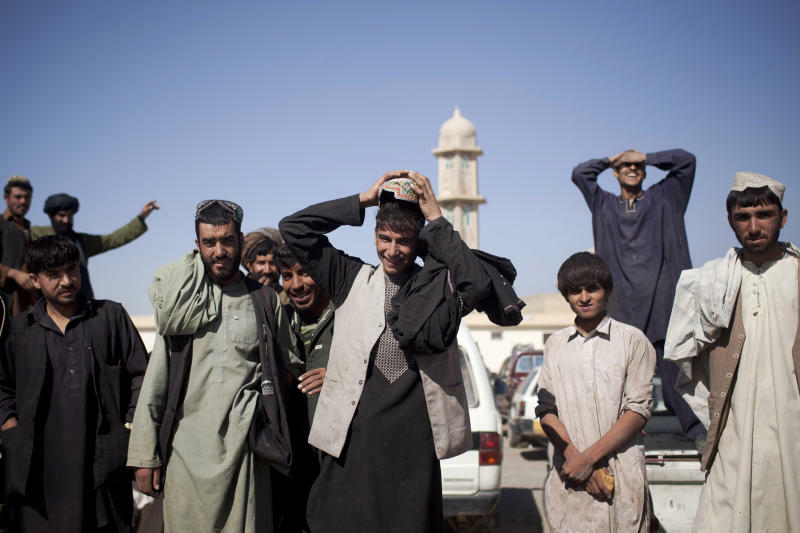 Analysts who know Helmand say a corrupt government poses one of the biggest hurdles to stability, alienating the local population and driving them into the hands of the Taliban. The province is strategically important because of a massive poppy production that is financing the insurgency and fueling criminal activity. While some success has been achieved at getting farmers to plant substitute crops, Helmand is still one of Afghanistan's largest opium-producing provinces, often blamed on anti-government sentiment and collusion between corrupt government officials and the Taliban. The NATO-led coalition, known as the International Security Assistance Force, claims there are tangible gains against the Taliban in Helmand and neighboring Kandahar province. "While insurgent activity remains problematic in several districts, primarily in northern Helmand and western Kandahar, data from the battle space shows a marked decrease in overall enemy activity," ISAF spokesman Jamie Graybeal said recently. Despite a drop of 8 percent in militant attacks from January to October compared to the same period last year, Helmand and neighboring Nimroz province accounted for 32 percent of all such attacks reported across the country from October 2011 to October this year, according to ISAF. Ryan Evans, a research fellow at the U.S.-based Center for National Policy, called Helmand the "most dangerous and violent" of Afghanistan's 34 provinces. "From 2010 to early 2012, one of five ISAF soldiers was killed in this one province — Helmand. And the province has since taken more lives and limbs than any other province," said Evans, who worked with U.S. and British troops in Helmand during 2010 and 2011. The larger question, of course, is whether what's happening in Helmand is a harbinger of what the rest of Afghanistan will look like after the departure of the international troops. A report released last month by the British Parliament's International Development Committee offered grim statistics. Afghanistan continues to be one of the poorest countries in the world, with the average person earning less than one dollar a day despite $32 billion in foreign investment. The country has also tumbled in corruption ratings assembled by Transparency International. Afghanistan was ranked 117 out of 158 countries in 2005, then slid to 180 out of 183 nations last year. The scandal-ridden Kabul Bank milked millions of dollars from Afghans' savings. 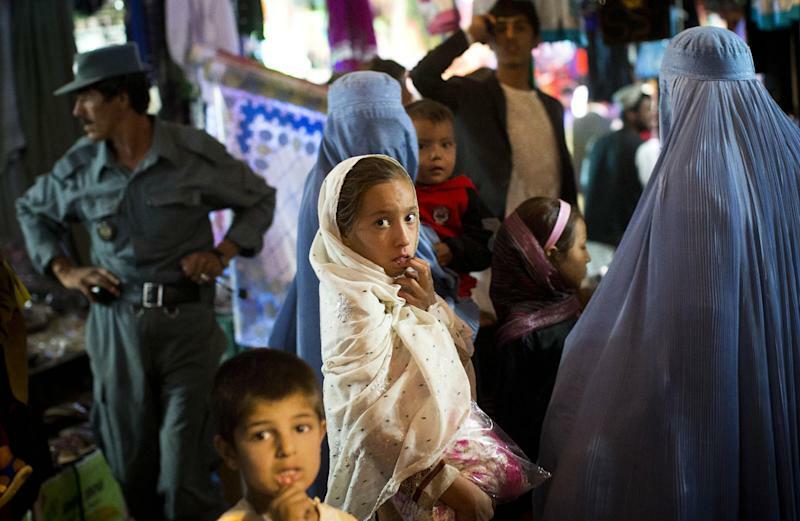 Some Afghans believe their countrymen are responsible for the current state of affairs. Haji Khalil who moved his family from Marjah to Lashkar Gah during the 2010 offensive, blamed Afghans for the spike in thefts and lawlessness since the defeat of the Taliban. "During the Taliban no one would steal because we knew the punishment, but when they left everyone began to steal," Khalil said. "We became worse after the Taliban," he said. "The problem is with us."